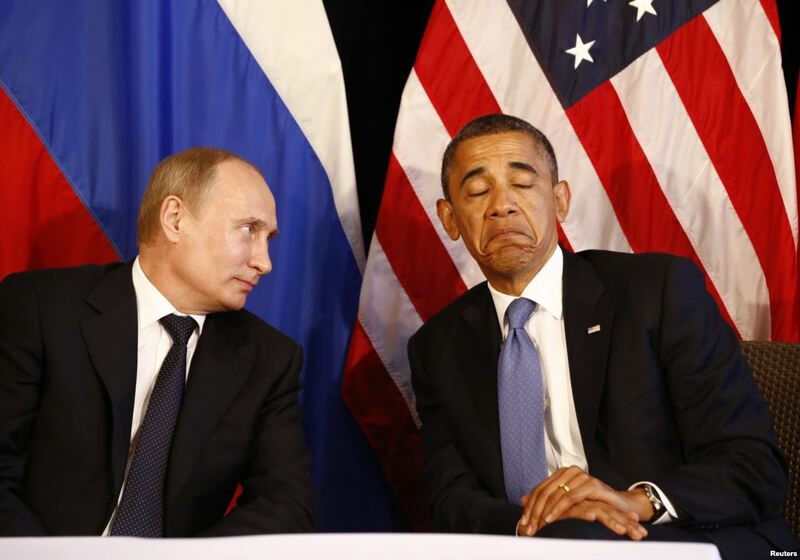 President Obama made some news Tuesday, labeling Russia a "regional power" - in contrast, apparently, to a "world power." But polling suggests the American people don't quite see it that way, says washingtonpost.com. Here's what Obama said: "Russia is a regional power that is threatening some of its immediate neighbors -- not out of strength but out of weakness." The comment was made in response to a question about a kerfuffle in the 2012 presidential campaign, in which Obama dismissed Mitt Romney's contention that Russia was the United States's No. 1 "geopolitical foe." Since the Russian invasion of Crimea, some -- many of them on the political right -- have suggested that Romney was right and that Obama was too dismissive of Putin's Russia. But, according to recent polls, the American people are actually quite concerned that Russia's "regional" fortitude will impact their own lives. A new Pew Research Center poll shows that 26 percent of Americans see Russia as an "adversary" and 43 percent see Russia as a serious problem that doesn't quite rise to the lever of "adversary." In other words, 69 percent see Russia as at least a "serious problem." Just 22 percent disagree.